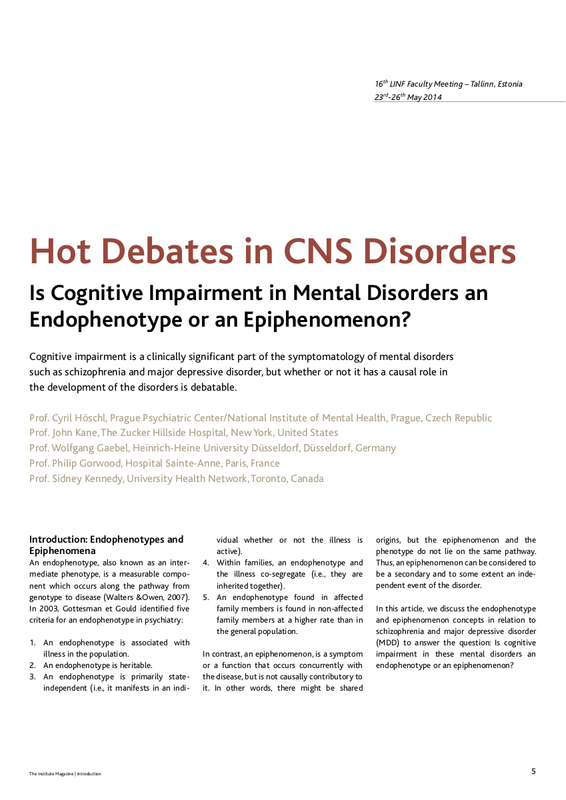 Is Cognitive Impairment in Mental Disorders an Endophenotype or an Epiphenomenon? For more than a century, it was the norm for undergraduate and postgraduate teaching of psychiatry to start with a simple classification of mental disorders into five groups: organic mental disorders, (functional) psychotic disorders, neurotic disorders, personality disorders, and mental retardation. 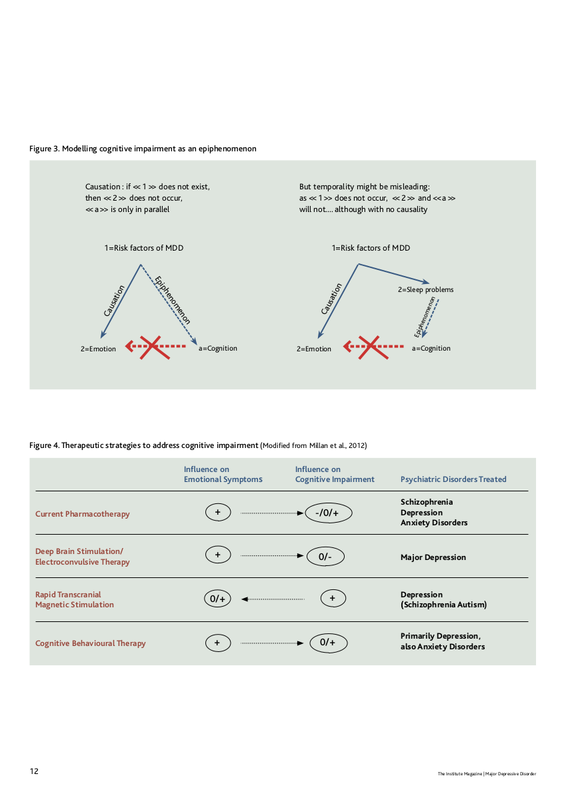 The key difference between functional psychotic disorders and disorders due to demonstrable brain damage was that the latter were characterised by symptoms indicating cognitive damage. Psychotic and neurotic disorders were called ‘functional’ disorders because it was thought that their origin was a disruption of function, as opposed to brain damage. 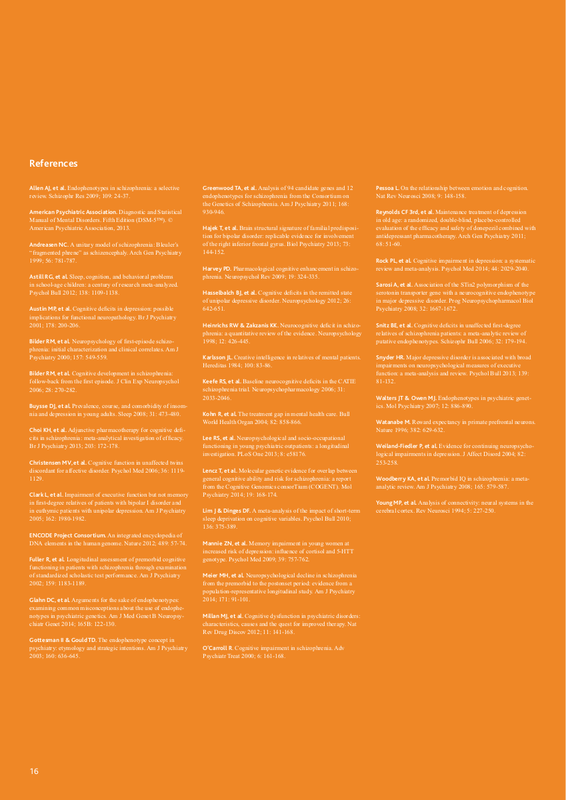 National and international classification systems used the presence or absence of cognitive damage as one of the main criteria for the distinction of organic mental disorders from other mental disorders. The use of this criterion to distinguish organic mental disorders from, say psychotic disorders, was somewhat illogical, and yet no one seemed to worry that a person with cognitive functions, that were presumed to be perfectly in order, could have delusions. Rational thinking is the expression of good cognitive functioning, and it would seem that the difficulty of thinking rationally must be a sign that cognitive functioning is damaged. Towards the end of the 20th century, this zeitgeist suddenly changed without any major discussion or opposition. Psychiatrists started speaking about the cognitive symptoms of schizophrenia and bipolar disorder; it was as if the previous generally-accepted distinction of organic and functional disorders by cognitive damage had never existed. 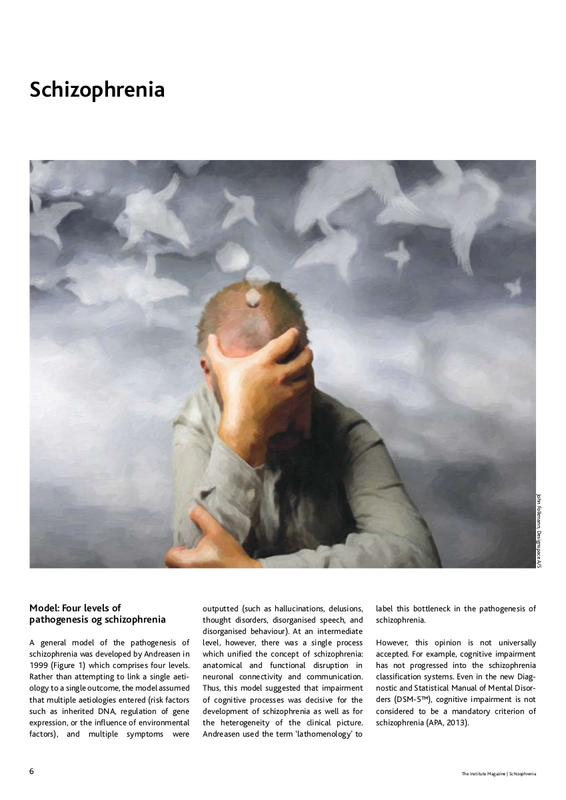 Nonetheless, the World Health Organization maintained the distinction, and the tenth revision of the International Classification of Diseases (ICD-10) still lists groups of mental disorders in the order that was proposed when it was believed that organic mental disorders had cognitive symptoms and a poor prognosis. The most durable disorders are listed first (dementia, and consequences of brain trauma), followed by psychotic disorders (which were originally considered to be more treatable since there was no demonstrable brain damage), and then neurotic disorders. 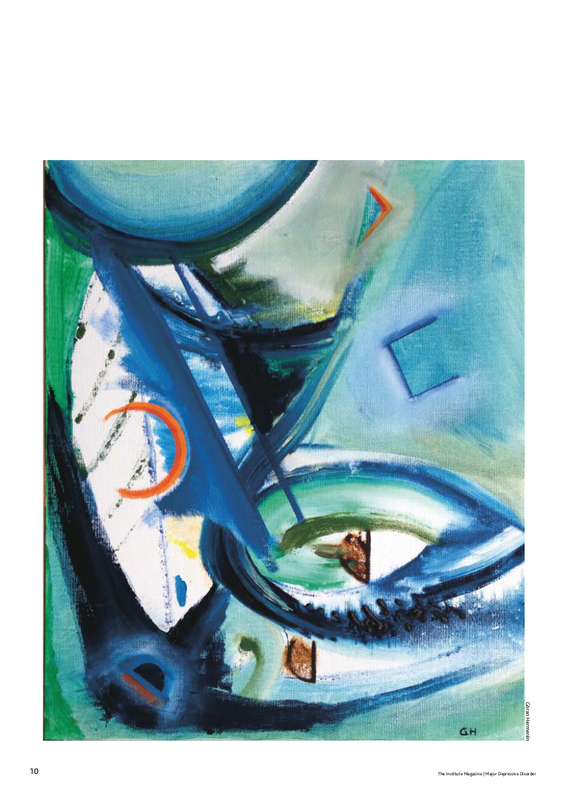 The description of schizophrenia states that: “Clear consciousness and intellectual capacity are usually maintained although certain cognitive deficits may evolve in the course of time”. 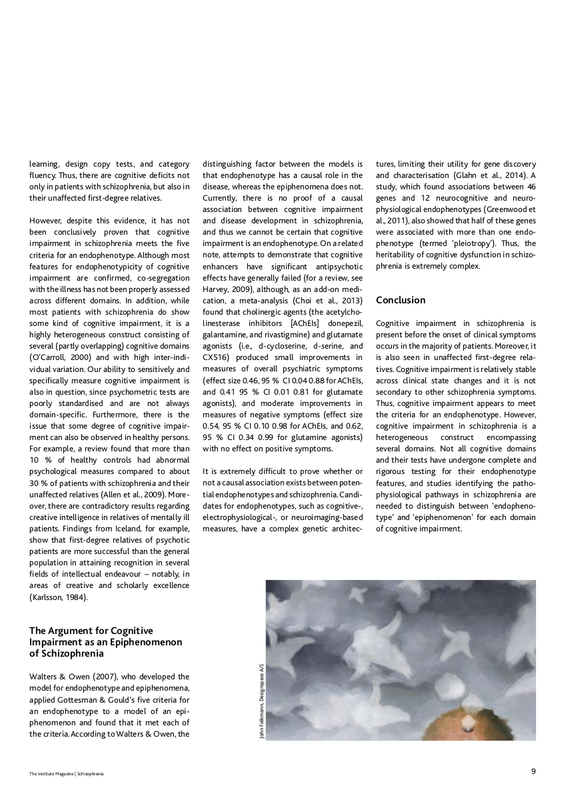 Thus, this description acknowledges that some cognitive symptoms may be present, but it does not see them as the key feature of schizophrenia. 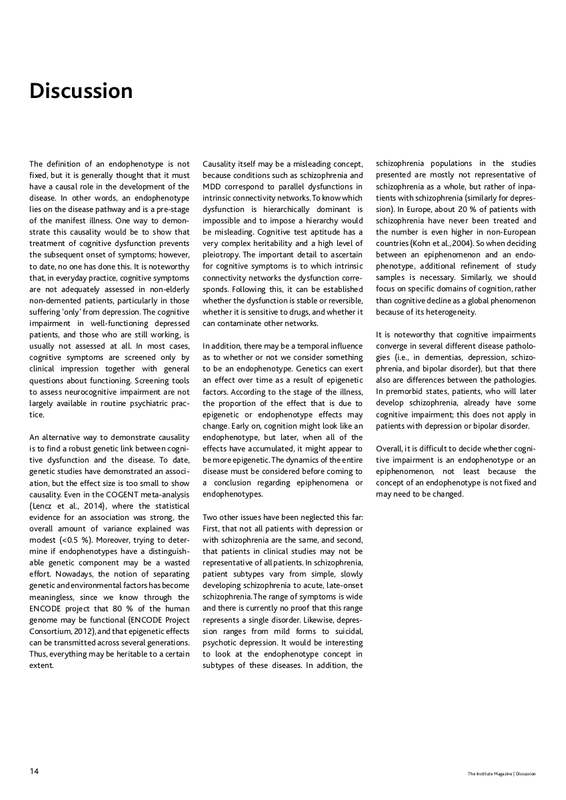 Cognitive symptoms are not mentioned in the general description of affective disorders, although concentration and attention difficulties are listed in the descriptions of specific disorders without being given particular prominence. In 1999, Andreasen wrote that a variety of causes may lead to “impairment in a fundamental cognitive process”, which then leads to “impairment in one or more second-order cognitive processes”, which in turn produces the symptoms of schizophrenia. This model has not been generally accepted, and the American Psychiatric Association’s Diagnostic and Statistical Manual of Mental Disorders (DSM-5™) does not include cognitive impairment as a key symptom of schizophrenia. 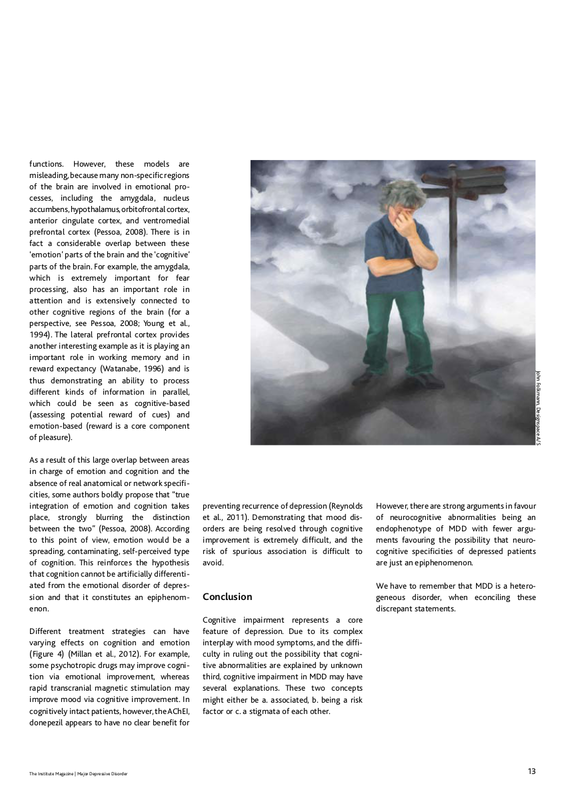 The presence of cognitive symptoms in depressive illnesses has been generally acknowledged and is usually ascribed to a lack of attention and concentration as a consequence of a preoccupation with affective symptoms. 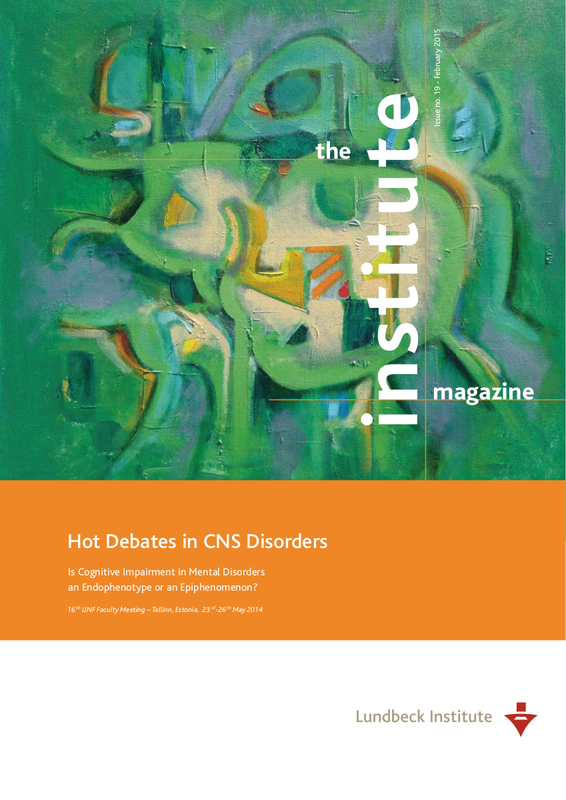 The article by Höschl, Kane, Gaebel, Gorwood and Kennedy in this issue of the Institute Magazine takes the debate one step further. 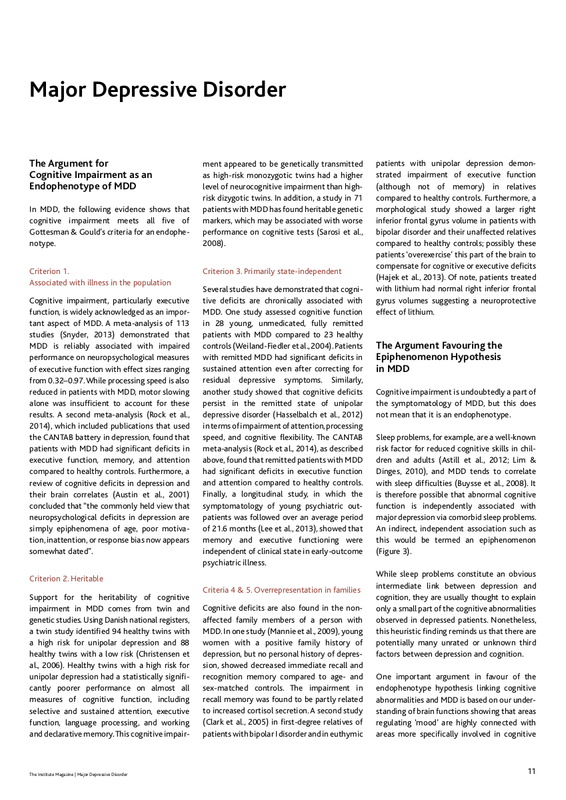 Taking for granted that cognitive symptoms are central to depression and schizophrenia, the author’s marshal arguments for and against the causal role that cognitive impairment might play in those disorders. 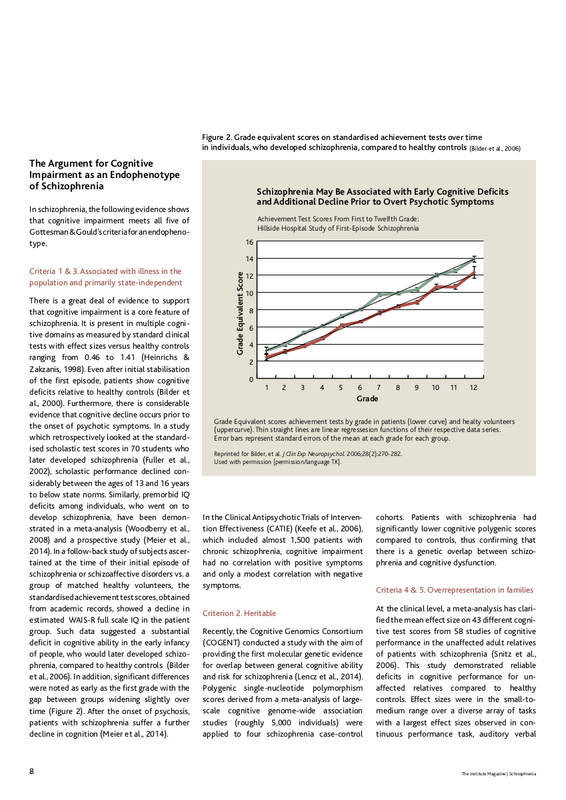 This is an interesting issue: If, on the one hand, cognitive impairment is the cause of schizophrenia and depressive disorders, then much of our current effort to find effective treatments (and to make prevention possible) will have to change direction. If, on the other hand, cognitive impairment is just one more symptom of schizophrenia and depression, then research on cognitive impairment will have to focus on ways of dealing with it in much the same manner that we deal with other symptoms of these disorders. 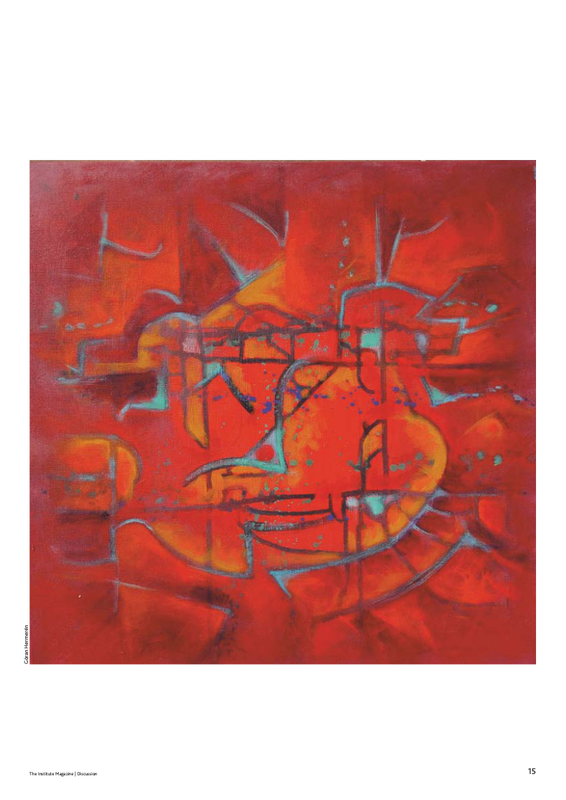 Thus, in either case the role of cognitive impairment in schizophrenia and affective disorders is of relevance either to direct research in new directions or to change the focus of treatment strategies from other symptoms to cognitive impairment. 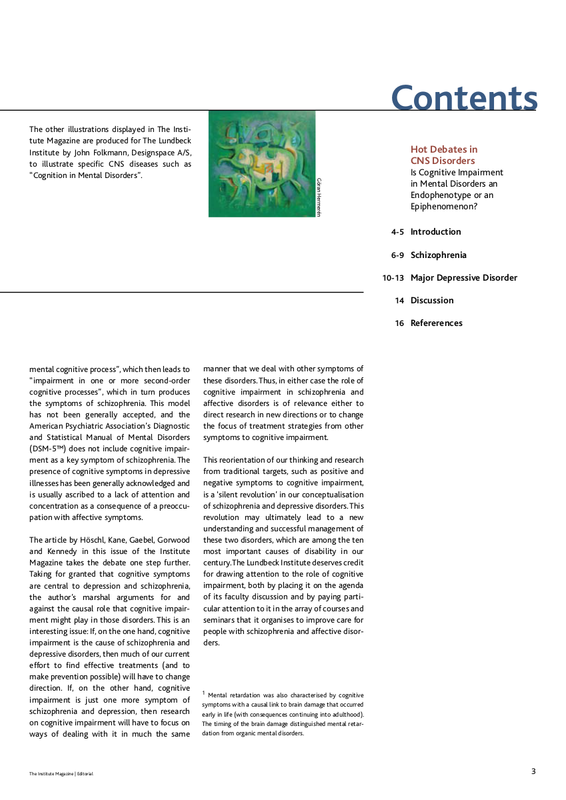 This reorientation of our thinking and research from traditional targets, such as positive and negative symptoms to cognitive impairment, is a ‘silent revolution’ in our conceptualisation of schizophrenia and depressive disorders. 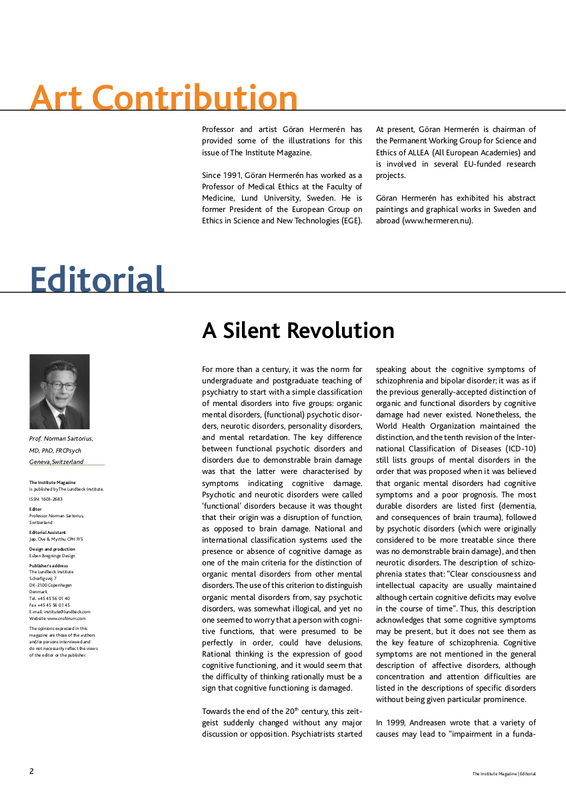 This revolution may ultimately lead to a new understanding and successful management of these two disorders, which are among the ten most important causes of disability in our century. 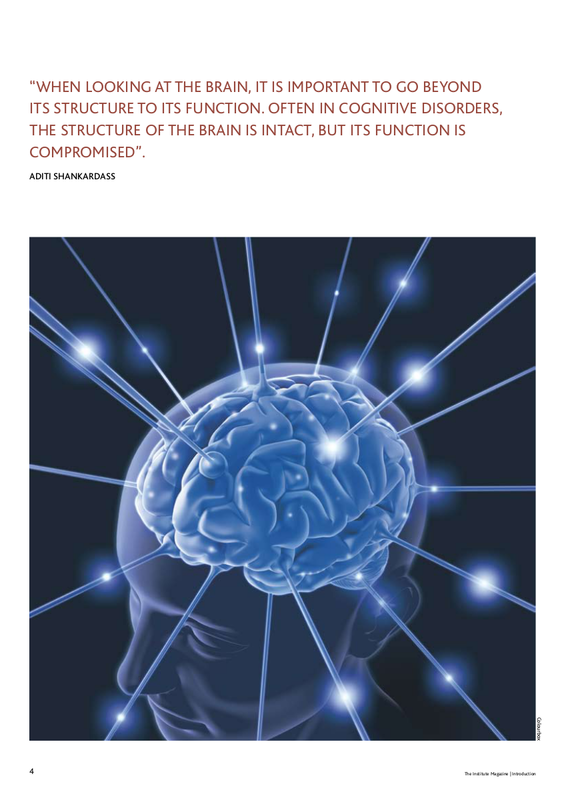 The Lundbeck Institute deserves credit for drawing attention to the role of cognitive impairment, both by placing it on the agenda of its faculty discussion and by paying particular attention to it in the array of courses and seminars that it organises to improve care for people with schizophrenia and affective disorders.